We’ve recently heard rumblings that LG is making an LG G6 Mini and that it will be called the LG Q6, and now the company has all but confirmed that the phone will be announced tomorrow, July 11. Those capital Qs don’t leave much room for interpretation, and while the video itself doesn’t give much away it does mention FullVision and show the outline of a phone with tiny bezels to either side of the screen. FullVision is the name given to the screen on the LG G6, and indeed that phone has tiny bezels, allowing LG to fit a large screen into a relatively small shell. But it also has a super-wide 18:9 aspect ratio, so we’d expect the LG Q6 will as well. We’ve heard this before in rumors, but you can take it as all but confirmed now. 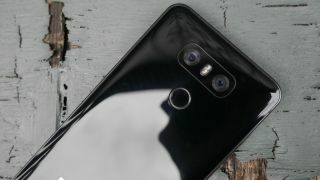 Other details are yet to be confirmed, but rumors spoke of a 5.4-inch screen, down from 5.7 inches on the LG G6, along with a single-lens 13MP camera (where the LG G6 has a dual-lens one), and 3GB of RAM, down from 4GB on the G6. The biggest downgrade though could be the chipset, which according to a recent benchmark is just a fairly low-end octa-core Snapdragon 430, clocked at 1.4GHz. If true that’s a big drop from the LG G6’s Snapdragon 821 chipset, but otherwise the LG Q6 sounds like it could be a smaller, cheaper, but still quite impressive alternative to the LG G6. The price will be key to its appeal of course, but we should be just a day away from knowing how much it will cost.